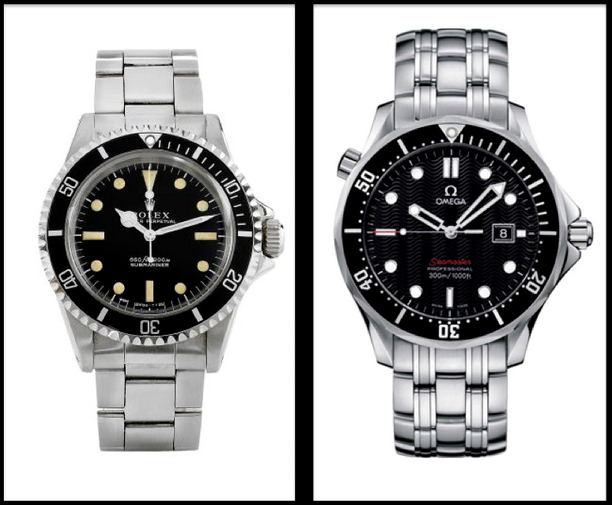 Omega Seamaster is Gunning for Rolex Submariner - Which Do You Prefer? Submariner or Seamaster? 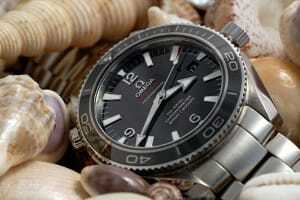 Omega Seamaster is Gunning for Rolex Submariner – Which Do You Prefer? There are many classic rivalries in the world, but perhaps the most unique and exclusive is the rivalry between two top watchmakers: Rolex and Omega. Submariner or Seamaster? Both are Swiss companies dedicated to bringing the highest quality to their customers, and each will boast a superior product when compared to the mass of other watch manufacturers, but who really comes out on top? You can perform a detailed analysis of each watch, and in a number of categories you might end up just splitting hairs. Perhaps the most distinguishing category is in the pricing. As you might expect, the Rolex Submariner price is higher, but this is generally true for any Rolex. However, with a little smart shopping you may discover a pre-owned Rolex Submariner at an excellent price, which once more narrows the fields of comparison. With all due respect to Omega, I know plenty of people who would be just as happy – if not happier – with a Rolex Submariner watch that was used than with a brand new Omega Seamaster. 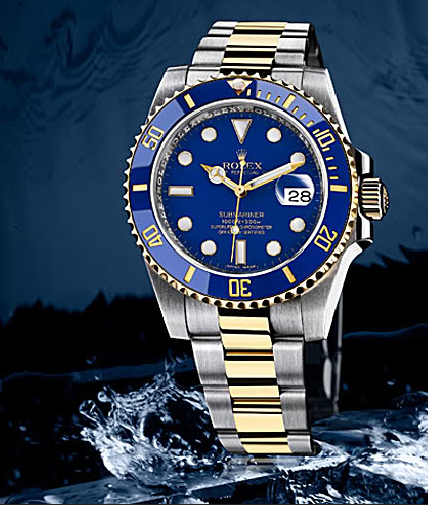 The blue two-tone Rolex Submariner is a great watch. When it comes to aesthetics, the Rolex Submariner Blue model is perhaps one of the most beautiful timepieces ever created. Since the creation of the first Rolex Submariner in 1954, there have been many generations of marvelous pieces that any person would be proud to own. Yes, the Rolex Submariner price will not be low, but the value of these works of art hold up very well, sometimes even increasing over time. Another undeniably popular model is the Rolex Submariner 16610, which was their 50th anniversary limited edition. If you ever find this particular Rolex Submariner used, grab it without hesitation! Even a Rolex Submariner used is a treasure to seek and keep once you find it. It goes without saying that both the Omega Seamaster and the Rolex Submariner are top-of-the-line timepieces, but when push comes to shove, I favor the Rolex Submariner. Sometimes, when you want to go first class, you should pull out all stops and go for top-of-the-line. And from this writer’s point of view, the Rolex Submariner is indeed the very top-of-the-line when it comes to fine wristwatches!